CMS VATAVARAN Film Festival and Forum !! Thank you for making 9th CMS VATAVARAN a GREAT Success !!! 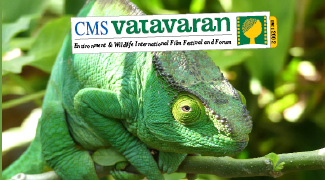 CMS VATAVARAN – India’s only International Environment & Wildlife Film Festival and Forum is a unique initiative of Centre for Media Studies (CMS). 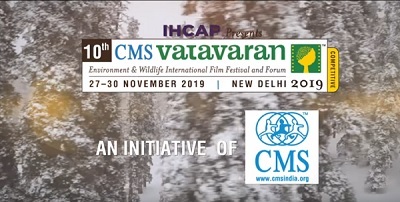 Though it is aimed at sensitising people about their rich environmental heritage and the need to conserve it, CMS VATAVARAN is not just a film festival celebrating the climatic art of films but focuses more on using the films as a tool and catalyst for creating impact. 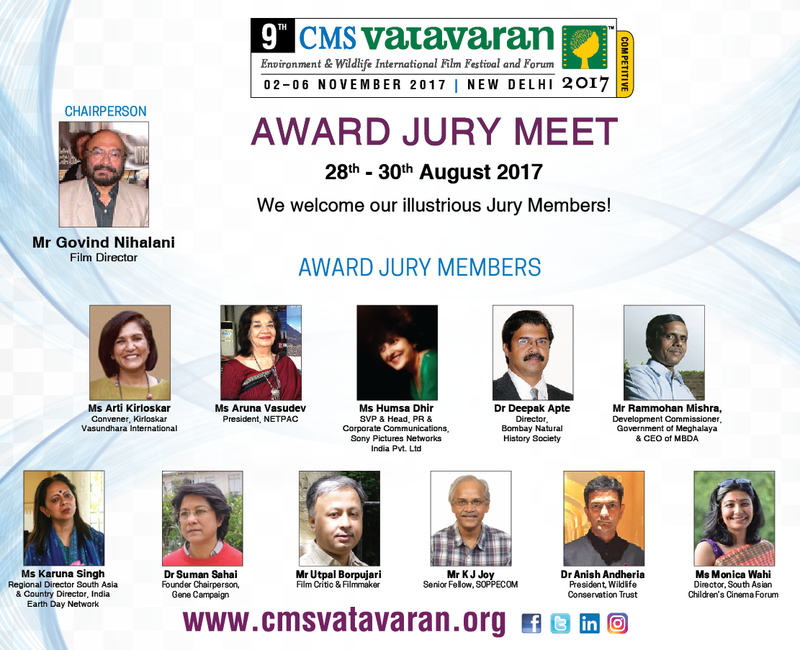 CMS VATAVARAN remains resolute to encourage environment films and forums resulting change in perception, practice and policy. CMS VATAVARAN through its festival and forum design brings together some of the best conservation experts and enthusiasts from across the globe. Along with taking world’s best films on environment to the masses, it has been able to institutionalize strong specialised knowledge networking platforms, forge partnership, and enhance capacities and experiences. Encourage environment films and forums that result in perception, practice and policy change. Enhance understanding of the natural world and its conservation. Stimulate production of high-quality films on wildlife, nature and environment. Nurture a new generation of alternate filmmakers to widen public dialogue and debate. 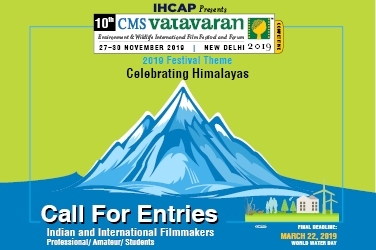 Films competing in the CMS VATAVARAN are of extremely high standards and the Jury had difficulty in selecting the winners. 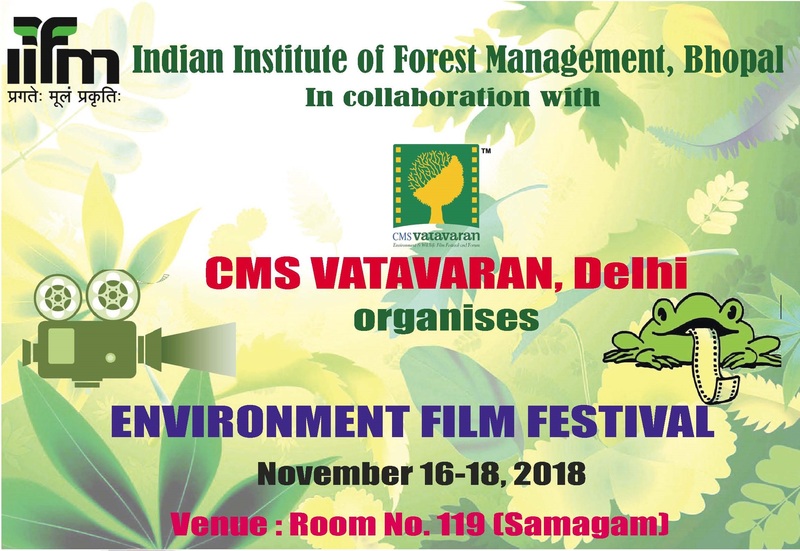 Initiatives like CMS VATAVARAN help environmental films find a regular place in the media’s agenda and does a great deal for creating environment awareness. • Embassy of Norway, once again, takes pride in being the Principal Partner of CMS VATAVARAN this year. It is due to Norway’s commitment to environmental conservation and sustainable development that the Norwegian Embassy in India has been partnering with CMS for the last few years with their Film Festival initiative. We see the festival growing, not only in size but also in significance. The efforts of CMS VATAVARAN are commendable. 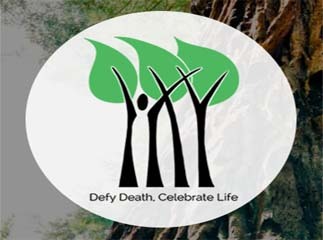 It has successfully organised this international film festival by bringing together films that talk about nature. We need to work together and take these films to the people to sensitise them for a lasting impact.